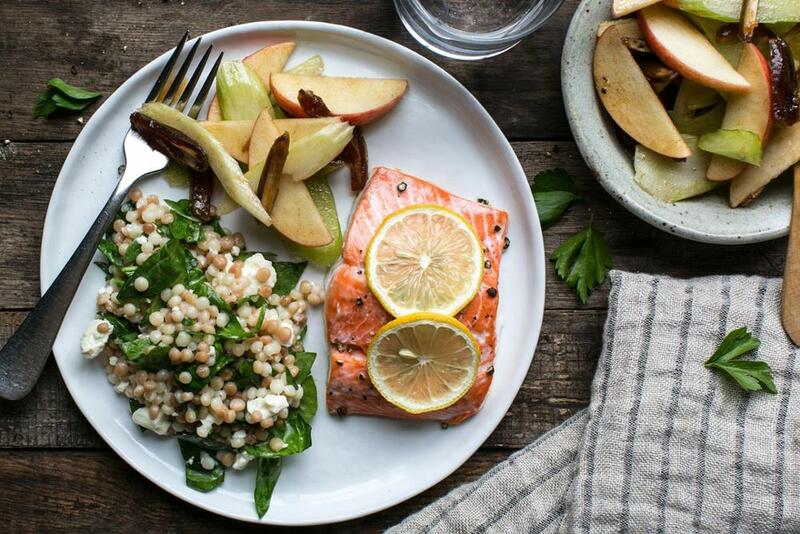 Meal delivery kits have become all the rage recently, with companies like Chef’s Plate and Fresh Prep—both established in 2014—rising to prominence. Ads pop up all over Facebook and Instagram to bring in new users, promising your first subscription box at a discounted price. When you sign up and get that first box delivered at no extra cost to your door, what you will find inside is everything you need to cook yourself a few meals. If you’re like me and love to cook, but don’t often have the time to spend hours creating the perfect meal, then I think you’ll want to give these kits a try. I’ve ordered a number of meal delivery kits over the past few months and have to say that I’m impressed. I’d recommend you give them a shot when you’re really busy (finals and midterms, anyone?) but still want to eat well. Yes, the ingredients come pre-cut and prepared, but you still get the ability to at least bring the meal together by cooking it, and it’s bound to be healthier than some stressful, last minute fast-food binge. Spending just a little time away from your screen and piles of work is always a good idea to reset, especially if you can spend that time in the kitchen. Not only are these kits delicious and easy to make, they’re also reasonably priced. Your first discounted box will ring in around $30 for three meals. If it’s only for you, that’s about $10 a meal with enough leftovers for lunch the next day. After your first discounted meal kit, a regular box comes in at $60 per three meals. Again, if this is just for yourself then that’s $20 a meal, or $10 a serving accounting for the fact that you’ll get at least two servings out of each meal. Sure, you can find something cheaper, but it’s exciting having food come to you, and a delivery meal would cost just as much if not more. Meal kits also provide a lot of variety in the foods you make. The meals range from curries, rice bowls, baked pastas, salads, and hearty soups. You have the ability to pick which recipes you want to try, then you get everything perfectly measured to put together as you follow the provided recipe. Not only do the boxes save you a bunch of time since you don’t have to go to the store to get your ingredients and prep them—they also give you the chance to try new things you may not have tried otherwise. The boxes let you experiment with new cuisines and cooking methods that may not have seemed like an option beforehand. Additionally, once you’ve made the recipe, you still have the recipe card with the ingredients to follow and recreate again in the future. I’ve actually done this a few times, remaking recipes I’ve tried for the first time through Chef’s Plate or Fresh Prep and ending up with equally delicious meals, even when I sourced my own ingredients. I know that people might look at the idea of meal delivery kits as lazy, but I think that they’re great. They allow you to eat well, experiment, and spend some time—but not too much time—in the kitchen in the middle of what may be a hectic schedule. Even if your schedule isn’t particularly crazy, the meal delivery kits are a handy thing to call upon every once in a while to try something new.